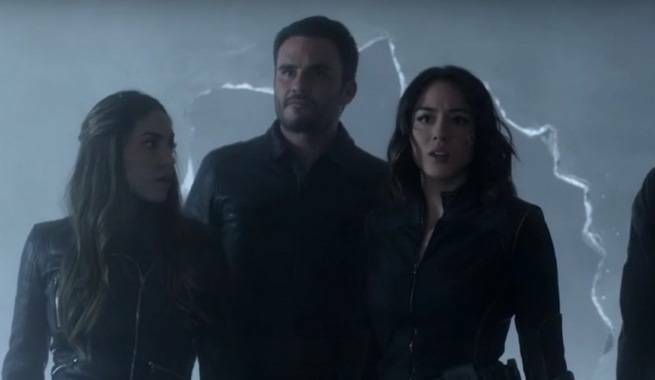 Marvel's Agents of SHIELD wrapped up the first half of its fourth season last week with the midseason finale episode "The Laws of Inferno Dynamics." But that wasn't quite the last Marvel's Agents of SHIELD of 2016. On Tuesday, ABC released the six-part Marvel's Agents fo SHIELD: Slingshot web series, shining the spotlight on Elaina "Yo-Yo" Rodriguez, played by Natalia Cordova-Buckley. We've watched all of Marvel's Agents of SHIELD: Slingshot, and so should. Now we're digging in and finding all of the connections between Slingshot and Marvel's Agents of SHIELD and the larger Marvel Cinematic Universe. 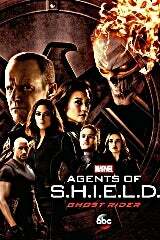 Marvel's Agents of SHIELD returns to ABC on Jan. 10, 2017 at 10 p.m. ET for the new "LMD" storyline. In the first episode of Marvel's Agents of SHIELD: Slingshot, "Vendetta," Yo-Yo has a conversation with Phil Coulson just as he's packing up his stuff and vacating the director's office for Jeffrey Mace to take over. The conversation largely involves a criminal she wants to track down, but it also veers off course into a discussion of Yo-Yo registering under the Sokovia Accords. Yo-Yo reminds Coulson that when he recruited her he promised that she's be kept in the shadows and that Quake's team would be the "Secret Warriors." She points out that registering is kind of the opposite of being "secret." "Secret Warriors" was the storyline of much of Agents of SHIELD Season 3, as Quake recruited new Inhumans to join her special SHIELD team. It was inspired by the Marvel Comics Secret Wars series, which is being rebooted with a mission statement very similar to the team we saw on SHIELD in early 2017. 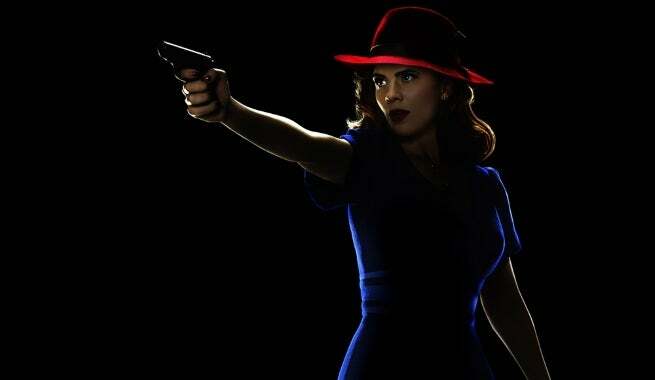 Peggy Carter is known as the founder of SHIELD in the Marvel Cinematic Universe, and a memento of her was featured in Marvel's Agents of SHIELD: Slingshot. In the same conversation in which Yo-Yo and Coulson discuss the Secret Warriors, Coulson hands Yo-Yo an item from the box he is carrying out of the director's office. The item contains a coin with an early SHIELD logo. Coulson tells Yo-Yo that the coins were given out on the day of SHIELD's creation and that this coin, in particular, belonged to Peggy Carter. He gives the coin to Yo-Yo to remind her of what she's gaining by registering and being a part of SHIELD. In the final episode of Slingshot, when the series returns to the present day in its frame story, Yo-Yo passes the coin along to Quake, who has only just returned to SHIELD, in order to remind her that she's gaining back her team. After talking to outgoing director Coulson in the first episode of Marvel's Agents of SHIELD: Slingshot, Yo-Yo must meet with the new director, Jeffrey Mace, in the second episode of the series, titled "John Hancock." Yo-Yo's conversation with Mace largely revolves around her signing the Sokovia Accords officially and registering as an Inhuman. In that conversation, Mace is also forced to remind Yo-Yo of the possible punishment that could follow if she acts out of the boundaries of the Sokovia Accords. 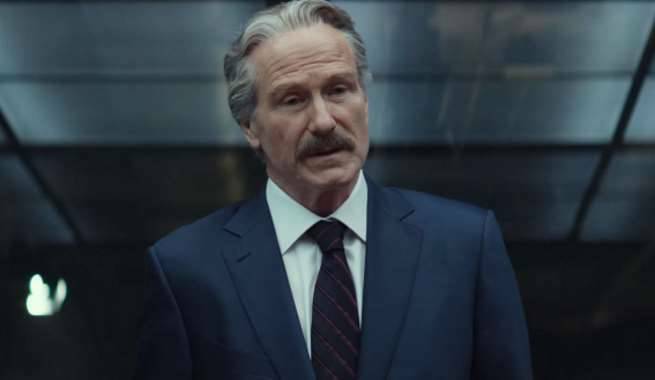 That would mean Mace handing over her name and location to Secretary of State Thaddeus "Thunderbolt" Ross and Ross then arresting Yo-Yo and taking her to the floating prison called The Raft. All of these things come from 2016's Captain America: Civil War. The entire plot of Marvel's Agents of SHIELD: Slingshot revolves around Yo-Yo seeking help in searching for a criminal arms dealer from her home in Colombia. That weapons dealer is named Victor Ramon, and he should look familiar to fans of Marvel's Agents of SHIELD. 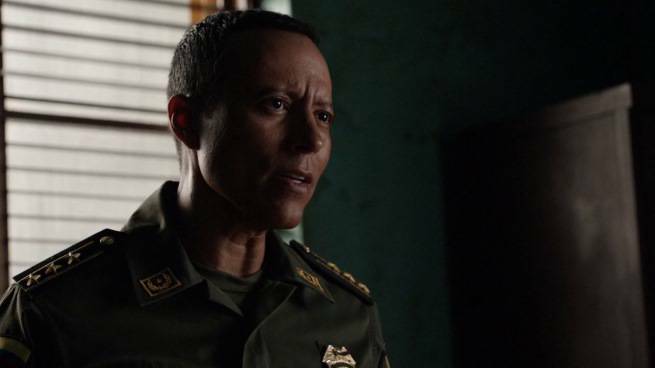 Ramon previously appeared in the Marvel's Agents of SHIELD Season 3 episode "Bouncing Back," which was also Yo-Yo's first appearance in the Marvel Cinematic Universe and the episode that introduced Lucio, an Inhuman who had been working for Ramon but left to join up with Hive. Ramon had been a member of the Colombian military police but was abusing his power. Yo-Yo decided to use her newfound Inhuman abilities to confront Ramon and it cost Yo-Yo's cousin her life. Ramon escaped, but Yo-Yo didn't forget about him. The appearance of Inhumans across the globe following the events of Marvel's Agents of SHIELD Season 2 hasn't been welcomed by all member of the human race. 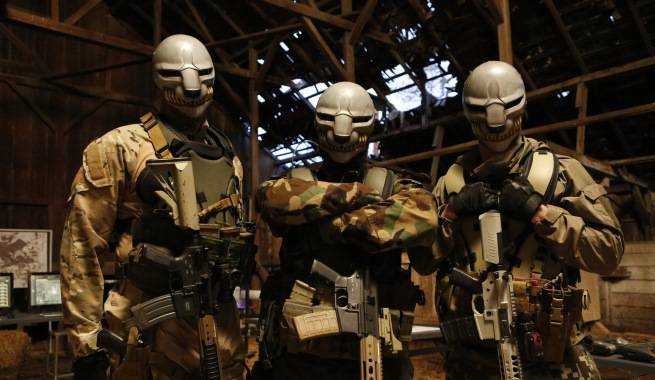 Some reactionary humans have banded together in a terrorist organization called the Watchdogs. The group targets Inhumans and is apprehensive of SHIELD's attempt to integrate the group and preach tolerance. The Watchdogs have been a problem for SHIELD through Marvel's Agents of SHIELD Season 3 and the beginning of Season 4, with fellow human Hellfire even joining the hate group. They're back in Marvel's Agents of SHIELD: Slingshot. It turns out the Watchdogs are the group that Victor Ramon was hoping to sell some weapons to. Unfortunately for him and the Watchdogs, Quake was already on their trail.